Are you training to be the very best? 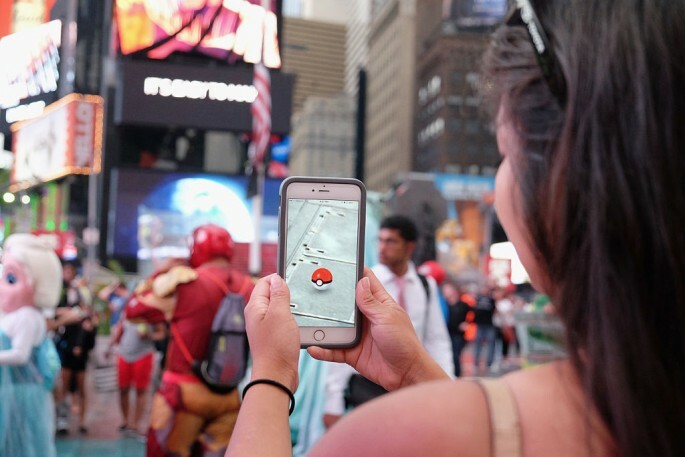 As "Pokemon Go" takes over your life, here's a list of some of the essential tips and tricks that will improve your gaming strategy. Leveling up during the early stages in the game, but once you're at higher levels advancing your stats gets a bit more difficult. Catching a Pokemon in itself will award you with XP, but you'll get a bonus if you use the curveball trick. Simply tap the ball, hold it and spin it around until you see sparkles. Toss it on the Pokemon and gain additional XP for throwing a curveball. Those new to "Pokemon Go" may find that this technique needs a bit of practicing to perfect. Sure, we all get excited when we find out we have enough candies to evolve Pokemon - to get excited that we evolve them on the spot. It's best to collect now and evolve later. To maximize the effects of the Lucky Egg, which doubles the XP you gain within 30 minutes, you should evolve Pokemon in batches. The more evolves, the higher the XP you gain with the Lucky Egg. According to Prima Games, you get 500 XP for evolving a Pokemon. With the Lucky Egg, you get 1000 XP. Multiply that with the number of evolves you make in a single go and you'll find yourself leveling up in no time! Although "Pokemon Go" is not as extensive as other "Pokemon" video games where you get to train your Pokemon to learn particular moves, Pokemon in "Pokemon Go" still come with varied move sets. If you've got two similar Pokemon at your disposal, choose the one that has the better move set, even if the other one has higher CP. If your Pokemon has better moves, it has greater chances of winning gym battles. You can always boost your Pokemon's CP later using stardust. When attempting to take over a gym, the first thing you look at are the CPs of the Pokemon defending that gym. While that's essential, it's also important to look at the type and element of the Pokemon defending the gym. Some types have a greater effect on certain types of Pokemon compared to others. For instance, Fire type Pokemon is easily defeated by Water, Ground and Rock type Pokemon, imore.com wrote. There's still a lot you can do to improve game, but these tips and tricks are something you can practice on the daily. Pokémon Company CEO to bring Pokémon games on Nintendo NX; ‘Pokemon Go’ update to feature character trades, player-to-player battles?